Hunters drool at the chance to execute "big game" animals-lions, elk, antelope, and the like, including endangered and threatened species-and keep their lifeless heads as "trophies." But, because many of these species live on other continents, or can be difficult to stalk, some hunters are willing to pay big bucks for a guaranteed kill. How can a kill be guaranteed? Canned hunting. Wild animals are captured and fenced in, unable to escape, and a hunter pays an operator for the 'opportunity' to shoot one at point-blank range. These hunts occur on private land, typically known as "ranches." To kill a single animal, a ranch operator can charge anywhere from hundreds to thousands of dollars. Just recently, a Colorado hunting guide admitted to capturing mountain lions and bobcats, shooting them (reportedly in the hind legs), caging them, then releasing them back into the area. Confident that the injured animals would not be able to travel far, it became much easier for paying clients to find them and kill them. Clients paid the guide $700 to $7,500 per hunt. The guide, Christopher W. Loncarich, has pleaded guilty to one count of conspiracy to violate the Lacey Act for his illegal activities (including taking clients to hunt in Utah without hunting licenses, among other offenses), and has been sentenced to 27 months in federal prison. It wasn't the hunting that was illegal here; it was the transfer of animals across state lines without a proper permit. The underlying problem? As with most wildlife issues, it's demand. Operators run canned hunting ranches because the profit is there. Demand leads to ranches, which lead to the brutal, unsporting capture and execution of wildlife. Without demand, ranches wouldn't exist. Demand reduction is necessary, but it will be a long, frustrating road. 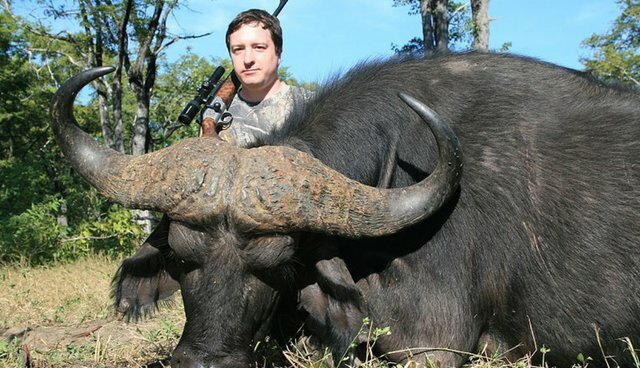 How to reason with a hunter who delights in murdering a helpless creature in a pen? In the meantime, we must push for canned hunting to be declared universally illegal. No exceptions. No loopholes. No hunting of endangered or threatened species under the auspices of 'conservation.' No permits. No more canned hunting. Period.